Local, state and federal officials were called when a letter allegedly containing ricin was sent to Sen. Susan Collins (R) home in Maine. The affected areas have now been cleared, and Senator Collins and Mr. Daffron will be able to remain at home tonight. Collins was not home when the letter was received. She arrived at home around 7:45 p.m., after most of the police had cleared the scene, Bangor Daily News reported. We are very grateful for the immediate and professional assistance that we received from the Bangor Police Department, the Maine Crime lab, the Maine State Police Department, the Capitol Police, the FBI, the Orono Hazmat Unit, the Bangor Fire Department, the U.S. Army, and the U.S. Postal Inspection Service. We are also truly appreciative of the many well wishes that we received today. Our friends and neighbors have been incredibly kind and have even offered to open their homes to us. We feel blessed to live in such a supportive community. It is unclear whether or not the letter was a direct result of her vote in favor of Justice Brett Kavanaugh. 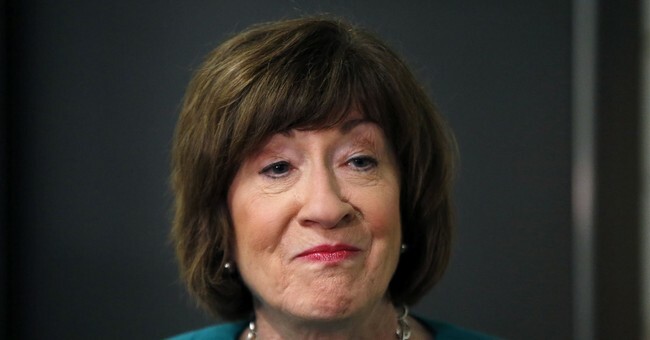 According to the Bangor Daily News, Collins has had protestors outside of her home but has continued to live a normal life without increased security. As of Monday night, law enforcement personnel were analyzing the letter's contents and its origin. Preliminary tests indicate the substance was no threat to the public, Fox News reported.